The metals in old wire can be valuable to recycle. These cords can also be used to make other things. 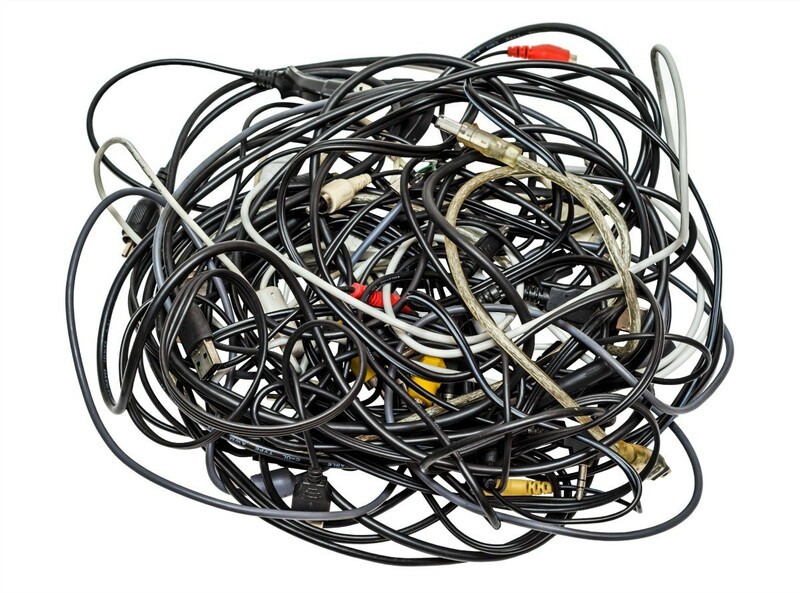 This is a guide about recycling electronic cords and cables. We have lots of cable wires etc. from different equipment that is no good. 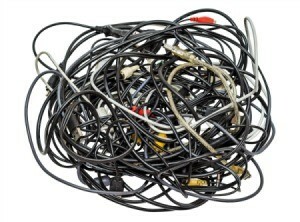 Where could you sell these wires and cords? You can sell these at your local recycle center that buys junk, cans, etc. This type of stuff has several prices. Mixed unstriped wires are not worth too much a pound but if you really have a lot it would be worth a trip. You can put them in any container as they know how to weigh everything. Stripped wires are more valuable but very time consuming if done by hand and different metals have to be separated.